Disclaimer: This unit of the HiBy Music R3 is an engineering or prototype sample and contains an early beta firmware that will be upgraded to an international version by the end of the Kickstart Campaign when purchased units are shipped. Headfonics and Headfonia were the first chosen to test and review them a number of weeks ago. Thus, there may be some firmware updates between the time of this review and you receiving your production R3. The HiBy Music R3 digital media player first showed its little cute head in the Guangzhou Audio Show in November 2017. At that time the focus was very much on the R6 flagship DAP but I did notice it and did remark on how beautiful it was. I also took a few pics but never got a chance to listen to it. Well, its now March 2018 and the R3 is limbering up for a Kickstarter Campaign with a price of less than $250 making it, thus far, HiBy Music’s cheapest entry model digital player. For those that love the HiBy Music OS but did not have the budget for the R6 or missed their original campaign, I would encourage you to look closely at the R3. It has a lot of very interesting features and an above average performance. HiBy Music is pitching the R3 as their most “connected’ entry level DAP and OS platform to date. The R3 sports not just bidirectional BT from their older platforms but also WiFi, DLNA, Airplay and streaming services integration including TIDAL. It is possible that this is just the tip of the iceberg since this is a beta firmware. That being said, no other HiBy OS powered device can claim to have more connectivity options than the R3 right now. 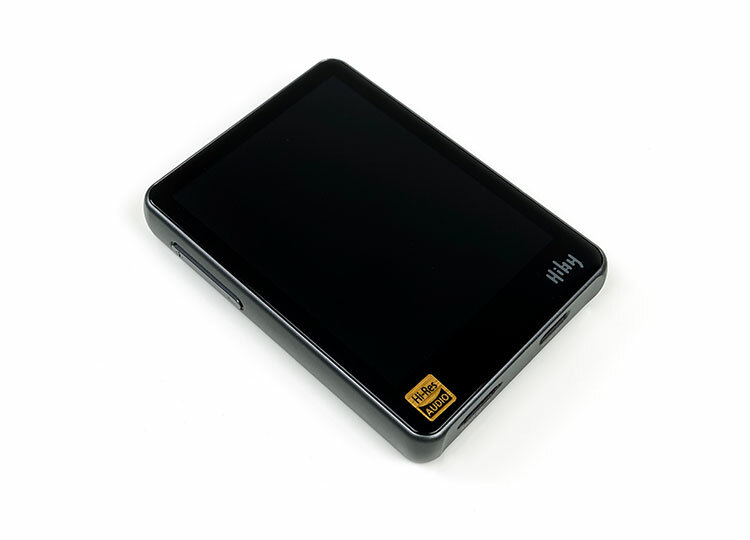 The R3 is the entry-level digital media player in HiBy Music’s growing DAP line-up. 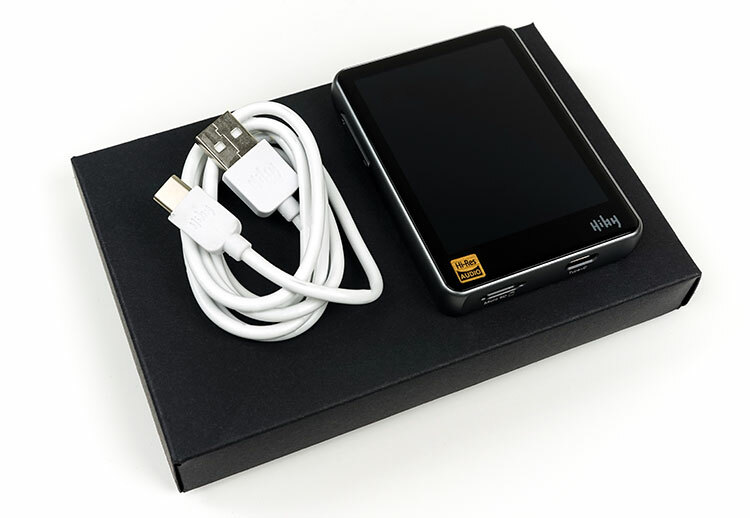 It is also the first ever touch capable HiBy Music OS on an Ingenics powered X1000 SOC. That is big news because for years HiBy Music’s own Linux based OS was associated with non-touch though capable 3rd party DAP vendors. Only on Android was HiBy Music ever a touch-capable OS either as a skin or dedicated app. HiBy Music is pitching the R3 as a lightweight but feature-packed touch version which they feel is a much more elegant solution than what has been previously available. Another big talking point is the inclusion of the ES9028Q2M DAC chipset in the R3. This is the same DAC as the R6 though only in single mode rather than dual. Still, for sub-$300 this is a first for a digital media player. Until this point, we have mainly seen AK4490 variants or older ES9018K2m chipsets in use. The ES9028Q2M is the mobile low-power version but still a big upgrade on those older versions. I have yet to hear a bad implementation using the new ESS chipsets. Or more specifically less than 1-ohm output impedance on both balanced and unbalanced outputs. That is a pitch considering the R6, awesome as it is, had a 10Ω output impedance and requires something like an iFi IEMatch cable or a higher than 30Ω headgear to avoid low-z skewing. The R3 is being pitched as requiring none of that. What you plug in will sound exactly as it should. The build on the R3 is beautiful. This is a small curved slimline DAP measuring 80mm x 26mm x 13mm and weighing in at just 95g. When turned off it reminds me a little of the Shanling M2s form factor though it is slightly shorter and a bit wider with more discreet buttons. The entire front panel is dominated by a beautiful 2.5D glass protective screen housing an LCD IPS display. The CNC aluminum chassis is contoured much in the same fashion as the R6 though curves at each corner are not quite as pronounced. Just enough for a small recessed panel top and bottom where the inputs and outputs are housed. The physical controls are slimline and discreetly embedded on each panel with just enough tactile presence to find them but they do not stick out enough to disrupt the smooth cut aluminum panel lines. The back panel does seem to be made of a glass. It is finished well but has more of a “hollow knock” in it than the M2s which is done in a similar manner. 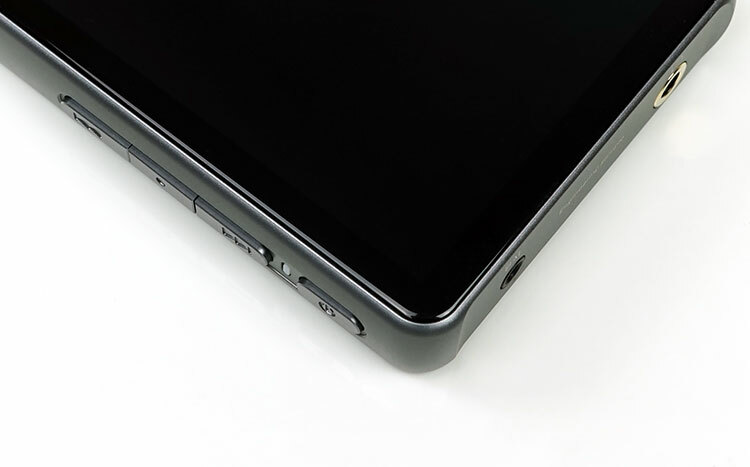 On the front bottom part of the screen bezel, you will find the HiBy moniker as well as on the back right in the middle. Everything on the R3 feels discreet and well put together. There are zero sharp edges and just enough width and weight to feel very comfortable in the hand during use. This is the physical star of the show. It dominates everything else and rightly so considering the big pitch is a touch-sensitive HiBy OS. They could have gone cheap but they didn’t with a 3.2″ IPS TFT display sitting in nicely behind a 2.5D glass screen protector. I remarked before on the M2s review how eye-catching 2.5D glass is and it is the same effect on the R3. The reduction in bezel width is similar to the R6 and does enhance the attractiveness of the R3 display. It is not totally borderless, there is some more depth of bezel at the bottom compared to the top. If you look closely at the screen design you will notice a smooth curvature on the edge of the glass display known as a contoured edge. Basically, this bucks the old school design of a slightly raised bezel design with the glass sitting on top of the body creating a more seamless edge. This is quite a high-profile design edge used now by a number of smartphone manufacturers such as Google and even Apple. Samsung’s curved glass is technically “3D” glass because of their bendable substrates and electronics whereas the R3 screen has none of that. Though the pixel resolution is not quite as good as the M2s version at 480 x 360px compared to 800 x 480px it does seem to be marginally closer to the 2.5G glass overlay than the 3″ M2s screen. This is a bigger screen and it does seem to have better background lighting, color saturation, and even better viewing angles. There is a massive difference in legibility from similar distances between the two of them. IPS displays are so much superior right now to regular TFT panels. The R3 has no onboard memory which is fairly close to the norm for a lot of budget to mid-fi DAPs. My guess is that in order to accommodate the ES9028Q2M and IPS screen price tags something had to be cut and it was the onboard memory. Instead, you get a single microSD card slot that should hold up to 256GB or perhaps even more. Theoretically up to 2TB or beyond but since no cards exist of that size it remains a technical possibility only at this stage. I am unable to test 256GB cards as I simply do not have anything higher than my 64GB Sansdisk cards in exFAT which do work fine. 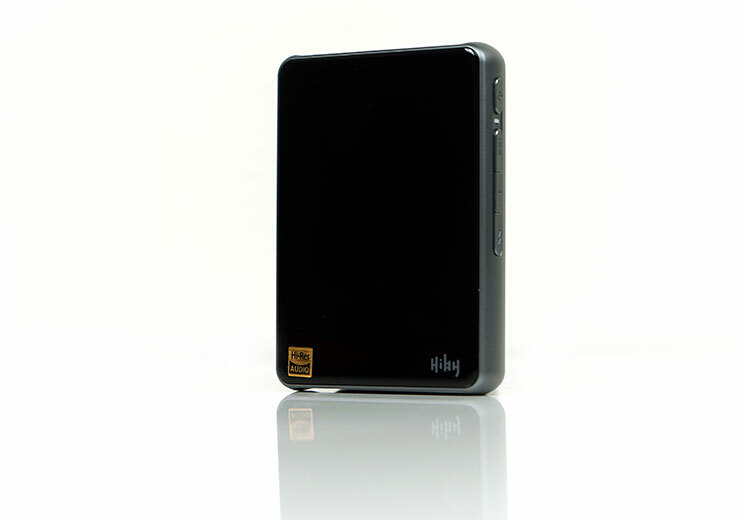 Of course, this is 2018 and HiBy have mitigated the physical storage options with plenty of virtual storage routes including OTG (via USB-C) for flash drives, bi-directional BT to tap into other storage sources such as smartphones, DLNA (WiFi) for network servers and Airplay for Mac equivalent. Combined the virtual storage access could be unlimited, it depends on you. As an example, my own tested setup included a USB flash drive at 64GB, a DLNA server streaming with capacity up to 4TB in audio and BT switched on tapping into my smartphone for an additional 128GB of audio. That setup gave me 4.192TB of additional storage options. That is not including any further cloud streaming services such as TIDAL. The R3 battery is rated at up to 11 hours using the single-ended output, 9 hours using balanced and up to 60 days standby time. I was supplied with no battery specs in terms of size but the numbers are slightly above average for a player of this size, particularly with touchscreen and balanced output. My presumption at this stage is a 1800mAh – 2000mAh 3.7v Li-Polymer Lithium battery given the size of the R3. The numbers are close, I got a max 10 hours with single-ended but that dropped a bit with the use of hi-res DSD files or streaming in WiFi/BT. It will drop similarly below 9 hours if you use the balanced output. I cannot comment on the 60-day standby, sitting there watching it drain for 2 months would be akin to watching the fridge defrost over and over again. Other environmental factors that can lower the battery such as keeping the screen on, high brightness and usage as well as any built-in DSP such as the 8-ball, high gain or EQ on. Overall, it is not up there with the Sony A35’s amazing 20 plus hours but certainly slightly better than the Shanling M2s and on par with the Cayin N3. The R3 has a pretty clean I/O interface with jacks on the top panel and a single USB-C port and microSD slot on the bottom panel. The jacks include both 3.5mm single ended and 2.5mm TRRS balanced and both have a rated output impedance of less than 1Ω – hurrah! The R3 will allow a fixed 1.1V LO from the 3.5mm output but it is not a true line-out as it will run through the R3’s internal amp. At the time of writing, there is no dedicated SPDIF output from the jack sockets. Instead, you can use the USB-C output in much the same manner as Cayin DAPs for USB-C to coaxial output and I believe retail packages will come with a converter cable to do that. You cannot use Cayin’s own supplied cable due to differing USB-C pin configurations inside Cayin DAPs. The USB-C, like the Cayin DAC’s, is really the hub of wired connectivity for the R3. Outside of SPDIF, you can also connect to your PC or Mac for charging and microSD card mounting for drag and drop file management. With a flick of a system setting OS button, you can also change from mounting and charging to USB-DAC and charging mode. In Windows 10 it will load automatically using the universal 2.0 driver. With earlier versions, you will need to wait until HiBy officially rolls out a downloadable USB driver. The R3 has two sets of physical controls. The first is the touch screen and it controls pretty much everything outside of volume, power, and playback when the screen is turned off. The touchscreen is excellent. It has one of the best capacitive touchscreen response times and accuracy levels I have seen outside of Android and Apple devices. Combined with the 2.5D curved glass it is even easier to use due to the lack of bevel edging breaking your swipe. The second set of controls are the more traditional type found on both side panels. On the left side, you have a volume rocker with a 100 half-dB step range much in the same range and manner as the R6. On the right side to the top, you have a dual function power/LED on/off button with a small LED light that exudes a generally light pink color when turned on. Again, since this is an engineering sample our package is not 100% refined but it is fairly close. The R3 box is a little smaller than the R6 and is a mix of cardboard and vinyl finished packaging with cardboard pockets inside a black two-piece box. The R3 is nestled on the top of a foam protected layering. My sample did not seem to have any wrap which I would like to see added to the final production release to prevent accidental damage and contamination from dust and moisture. Underneath you will get a fairly robust and lengthy manual on how to operate the R3 including its technical specifications. You will also get a single USB-C to USB-A cable for charging and data transfer duties. In the retail package, you should also be getting a USB-C to coaxial cable and I presume screen protectors and optional case protection as it really needs that. The USB-C to USB-A cable will also double up as a USB-DAC wired connection. Would the Hiby R3 represent a worthwhile update on the cayin n3? My current headphones are the Meze 99 Neo and Dunu Falcon C. I am also interested in knowing if the balanced output is well implemented, since I plan to update the cables of my headphones. Just use Bluetooth LDAC if your phone supports it. hmm ok. i am almost set on buying this. Wish it had tunein radio or some sort of audiobook support. Most of my music that i will listen on it will be in FLAC…but will be nice to have some streaming options at times. I would get the R3 personally due to the form factor and MSEB DSP options. The recent additional of LDAC and MQA make it a super sweet deal. Balanced has better output power rating and since the 425 has a detachable cable you can opt to buy a balanced 2.5mm cable for the 425 to work just fine with the R3. Thank you sir for responding. The R3 sound signature is shaped by DSP meaning the DAC itself is not so much the major influence on the sound. In its own right the ES9028Q2M should be clean, neutral and very detailed and the X5iii dual AK4490 is more musical, little warmer and more aggressive in the low-end, vocals and lower treble. HiBy have done a little DSP shaping on their DAC to make the output signal a little more musical also with more low-end body as far as I can tell. Hey, Mr. Marcus how does the R3 compare with the Fiio X5iii only on sound quality? I only use sennehiser HD 598 and also will buy an external amp like A5 in future. So I am curious how does the dac in R3 compare with dual dacs in X5iii in all purity? Amp is not an issue as I will buy an amp anyways for either. That depends on you more than me. 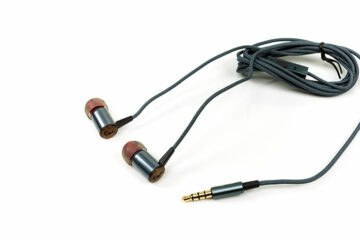 For instance you have iems or a headphone? WHat type of sound do you like? The M3s has more power and will drive headphones and demanding IEMs better. You like a clean sound or a more impactful low-end? The R3 is the latter, the M3s is the former. Some people’s water is another people’s poison. Does the R3 have better sound quality than the M3s? Depends on what you define as an improvement? Certainly the menu system, Wifi and touchscreen design is a setup on the R3. Is the R3 an improvement over the M3s? The R3, N3/N5ii from Cayin and M7 from Fiio work just fine with IEMs. Could You suggest me a good that is best DAP for IEM use only cause im not fond of headphones? No, just TIDAL integration for now. could you listen to spotify premium with the r3? Tis a strange one as i can’t replicate the issue you are having today and mine is an old engineering sample I have upgraded to 1.14 a few weeks ago. TIDAL no issues though did have issues on the earlier beta firmware because HibY and TIDAL had integration issues before the mass rollout. Hope they solve it for you. Thanks for the suggestion, but I am not comfortable rolling back to firmware (that did not work previously), against HiBy’s recommendation. I do appreciate your help, but this highlights the root of the problem…which is that HiBy does not seem to have a product in the R3 that is ready for prime time. I wanted plug and play and have received nothing of the sort. I am hoping that HiBy is interested in resolving this situation and not looking to continue to use me as their beta tester. I would go back to 1.14 and see what happens. I didnt jump on the 1.15 bandwagon yet despite the warning, lack of available sd cards and slow OTA lol, maybe thats why mine works. Strange stuff indeed. Sorry – meant to say upgraded and running latest Firmware v 1.15 per HiBy’s suggestion. Yes – this was one of the first things done also. I am running Firmware 1.14 and Tidal Streaming is still not operational. HiBy has communicated a similar response which caused me to take pause that this incompatibility could be an ongoing issue if Tidal makes changes in the future that HiBy has not updated for…anyhow, my problem is simply getting the Tidal streaming function to work as advertised. It has been several weeks of back an forth over e-mail with HiBy in broken English and still no resolution. This combined with a number of past and current issues I see posted (see HiBy Facebook page) made me question if anyone successfully got Tidal streaming on the R3. Maybe I have a defective unit, but it is a shame that such a highly rated unit seems to be unprepared for a global market and lacks such basic documentation. Thanks again. I am not sure its an OS specific thing, might be more due to how HiBy is working with Tidal API and integrating. I remember the beta firmware had tons of issues we fed back to them on and the first was the lack of functioning TIDAL and I was told its a licensing and approving issue on the TIDAL side. It should work though because it works for me on 1.14 – are you on hat firmware? Headfonics – thanks for your suggestion. It is one of the 1st things I did. The subscription is active and I have not maxed out devices. …having stated this, I will take your suggestion to log out and in (yet again) to see if the magic of reseting might work. If any other suggestions, please let me know. I have seen others with this problem listed on forums and HiBy is happy to have me troubleshoot for many weeks, which has become tiresome. We have other units streaming in our enironment successfully. Could this possibly be a lack of a true Android OpSys in the R3? OK so a few interesting things when I checked your issue. I originally got a #5003 error even though logged in all tracks. Once I researched I realized that my subscription had expired. When I renewed and logged back in I can stream without issue. So first of all check your account permissions and if its expired or not and then log out and log back in and see what happens. Have others been able to get Tidal streaming to work on the HiBy R3? After almost a month, I am going back and forth with HiBy over e-mail and on yet another error log file they want me to run to determine the problem. This seems much more like a ‘beta’ version than a general release. Hi Jack, depends on what is motivating you to move away from the AK70 MK1 in the first place. What do you like and do not like about it? For the latest firmware (1.14) – sort is alphabetical by name of album and you can add to the playlist during playback with a drop down arrow to the right side of the name of the album. I am not seeing a “recent albums” list on my version. – What are the sorting and display options for album view? – Can you queue an album to play after the end of the current list? – Is the a limit to the ‘recent albums’ list? Hi Jose! Thanks for the comment. Well 0.3 difference is actually a very big difference to us at the top end of the scale. Its one of those things – you can move up from 8.0 8.4 much easier than 9 to 9.3. Having said that no other DAP at this price point is using an ES9028Q2M DAC implementation which we think is worth a lot. It is however really an IEM DAP not a headphone DAP and also MSEB, their DSP machine is very powerful and fun to play with for sound configuration. The analysis of R3 is very interesting. on par with some of the best Daps like the iBasso DX200. Does that little one really sound so good? Hopefully, you aren’t taking my publications as law and me forcing my will and opinion as absolute fact. Objectively, the R3 has a better system inside. The AP80 is a little more powerful. Are you willing to link me to the other reviewer so I can read their thoughts and address your concerns? You’ve said they thought the AP80 was superior, but have not told me yet what that person feels made it superior. Kenny he gave you a short comparison and your opening gambit was “this is not true” implying factual error. My response was too highlight the flaw in that opening statement because its all opinion. Not sure where you are going with this “paradox” angle. If another reviewer contradicts then that is different to being “wrong”. Mike called it as he saw it for the R3 in response to someone else’s question, not sure what the problem is there. Well, exactly, why I said more compariosn is needed?? My argument is based on Michale reply regarding his statement, which is also a paradox to what you have said.It’s all just opinions and what I am trying to imply is the other reviewer opinion is contradicting to his statement. The purpose is to provide an opinion not a fact. Its just opinions. You decide which is best for you. There is no black and white in this. You are supposed to balance the opinions and weigh them against your own needs. PS Some of us live in what the first world considers the 3rd world Kenny, dont make presumptions. So it’s not true because someone else said it? Hiby R3 is capable of better fidelity and purity across the board. Which one has the best sound ap80 or r3? Who has the treble better? Also just a word of caution on the qdc Neptune cable – its 2-pin yes but reverse polarity meaning the cable pins are the other way around form normal 2-pin configs. It is worth investigating some BT cable boutique companies such as PlusSound and asking if they can make one specifically for it. Yup we have a FiiO F5 review also hehe. You are welcome! Either I missed that, or totally forgot sicne i’ve been reading so much. I’m also starting to look into the fiio f5 as a cheaper option, so i’ll be looking for your reviews there as well. Thanks again! Actually I did a direct comparison of the two on page 2 of our Comet review a few weeks ago. Welcome to check it out. Thanks for your help! I was considering exactly those two as well. I’ll have to do some digging to see if there any bluetooth cables for the 2pin set-up, and perhaps give the Neptunes a go. One last question – which do you find is better for noise isolation? I gather the comets are very tip-dependent, where as the Neptunes are easier to fit, but may not offer as much isolation? Hi Ms, well there have been a fair few single BA driver IEMs out of late and the best of them is the Comet from Campfire Audio which is MMCX and one of the better ones for staging. I would have suggested the Neptune from QDC but its a weird reverse 2-pins so doesn’t fit into your cabling needs. The FiiO FH5 is excellent though a touch beyond your budget at $269. The nice thing with the R3 is that MSEB DSP functionality so you can fine tune the presentation of almost any IEM. I find quite a lot of sub $200 IEMs veers to one form of coloration or another to mask slight deficiencies in cheaper driver sets such as V-shaped curves which I do not find terribly balanced. Sorry not experience with the Wx or Shure 215. Can you recommend a good pair of IEMs to match with the R3? I’ve been looking at a few reviews on here that do mention the R3, but looking for some more specific feedback. what are your thoughts on the westone wx and shure 215? They seem underwhelming in terms of sound quality. – good noise isolation but with some of the support falling to the rest of the ear, not just the canal. The best fit i’ve ever had is from the bose QC30 ear tips, for reference. Campaign opened today and already into single digits for early bird $115 price—get it quickly! I am hearing good things about the AP80! FYI…Hiby/Hidizs (I think they are one & the same) is at it again with a Hidizs branded AP80 about to launch on KS for only about $115 (!!). It is a smaller 2.5 touchscreen version but has an updated Sabre 9218 DAC, BT Apt-X and soon LDAC and the Hiby 3.0 OS/Music player. This is the cheapest way into that interface. Check it out before it goes live in a couple days here..
Hey Tim sorry for the delay, out of the country for a while and missed this comment. I spoke with Joe at HiBy a few days after your initial request and the answer does not seem to be clear. The official response is yes but the feedback is not quite as clearcut. People are reporting microstutter between tracks. I tried an mp3 gapless and it seems ok but HiBy has not said which formats would be immune to the microstutter. Hi – any info on whether the gapless is implemented correctly on the Hiby R3 is and actually seamless would be really greatly appreciated – can anyone help? Hi,…just wondered if you’d had a chance to test the gapless yet? Sadly I am not sure Kriztian. My guess is hifiheadphones or Advanced MP3 players stores in the UK but just a wild guess. Thanks Tim. I actually have very little if any gapless in my collection but I see where you are coming from so I will give this a whirl tomorrow night and let you know my findings. I would like to ask,where can I buy this item in the Europian Union?I found a dealer/distributor in USA (musicteck),but I wouldn’t like to order from them,because I have to pay high custom fee.That’s why I like to buy within Europe. Gonna sell my AP200 (hopefully) and pick up an R3 when they’re available for retail I think. Hi Jeff, welcome to Headfonics. I did not personally experience the AP200, Mike reviewed it long before all the issues piled up. I am not sure what the story is now with the R3 post campaign, I think they are still fulfilling pre-orders from the campaign so yes, the best advice is to wait until that is done and it is in a retail outlet. so which ones is actually ? Is the reviewed version Black or Gray? The chassis and backplate is grey, the front is dominated by the LCD screen so when off it is black. For 9028 yes, DX200, Oppo Sonica DAC and the R6. Oppo Sonica has a E9038 PRO inside, not a 9028QC. Correct which is why I wrote 9028/38 devices in the review since it was me who reviewed the Sonica DAC last year. I tend to find both 28/38 to deliver the same style of treble and both smoother than the 18. Thanks for the wonderful review. How would you compare the R3 with an iphone? Or a ZX300? Smaller, cheaper, shorter battery life, all touch sensitive, better sound quality than an iPhone, not sure about the ZX300 but then it is more expensive. Better wireless options than a ZX300. As per my review currently its TIDAL but it does not mean it “can’t do” Spotify. It is possible HiBy may introduce a Spotify option in a later firmware. You have to remember this is not an Android platform. The BT specs are at the bottom of page 3 by the way for codecs. Hi Marcus, I just stumbled upon similarly-priced (for now) Onkyo DP-S1 and Cowon Plenue D. Do you have any advice on choosing between them? I have not heard the Onkyo DP-S1 and been too long since I heard the Cowon to give you any advice on either. Hi Marcus, thanks for the great review! 2) Did you notice any difference between the 2 digital filters? 3) For sound, do you have any favourites at this price range? I’m looking for an all rounder that I can still come back to, even when I upgrade later on. My V20 drives easily, but while detailed and resolving is a little cold. Also, both separation and soundstage aren’t the greatest. 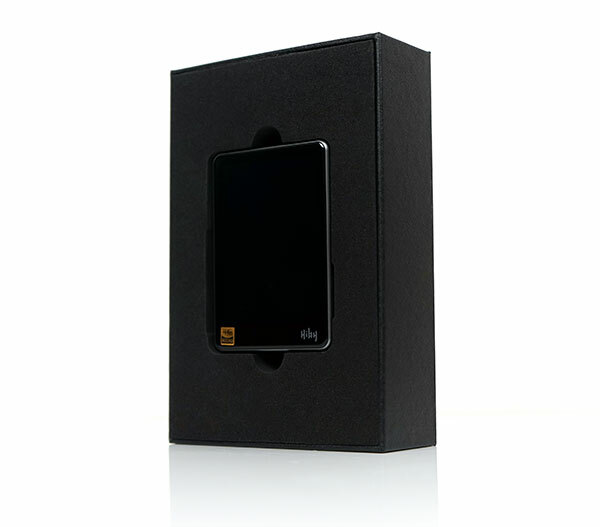 For example, would a Shanling M3S work better? Interface and wireless aren’t important to me as I usually listen on the commute using shuffle, so 3.5 unbalanced is what matters for me. Thanks for the compliment, appreciate your input and thank you for visiting. 1. There is high and low gain in the play settings. 2. Not so much for me to be like an EQ or MSEB, MSEB is really going to be where you will really work the sound signature to your liking on the R3. 3. M3s I think I already compared to the R3 but at this price range, you start with the Cayin N3, HiBy R3 and the Colorfly C10 (with IEMatch 3.5mm cable) as my own personal choices. Let me know what you decide to go for! I think I will leave EQ and MSEB off although MSEB sounds very interesting. I saw there is a separate Digital Filter setting: “Slow Descent” or “Sharp Drop”. Are you able to try that out? I think it is similar to the Digital Filters on Shanling models and other DAPs. I tried the N3 but didn’t find a big difference from my V20. M3S was maybe slightly better but I didn’t spend a lot of time, and it costs more than the R3. Looks like it will be the R3 (unless you know how the Sony NZ-A35/45 compares)? The C10 looks a little too large though. I am looking really for a transport, I mean, a device with wifi and Tidal able to store downloaded Tidal tracks/albums/playlists into the mSD card (as bigger as possible), with a decent 3.5mm jack output to pair with Etymotic ER4PT and with and USB-C or SPDIF or coax aoutput to pair with Mojo. Is HiBy R3 the wanted transport? R3 will be a fine choice and it sits on top of the Mojo perfectly using otg. Thanks for quick answer, but is it sure Tidal downloads will be stored in the mSD card? Which USB C OTG cable do you recommend? Hi Marcus, thanks for the review. In addition how do you find the 2 digital filters in comparison to each other? Will this device receive other streaming apps like Spotify or Qobuz ? As per my review comments, its too early to tell if HiBy Will do that but I do not see why not at a later stage with a firmware upgrade. So, it’s urgent to wait. Does it have a Bit Perfect mode? It is not an Android platform. Would you be able to compare this to the Cowon Plenue D? I am looking for something that is very portable but still sounds good and is musical. I was less than impressed with the Hidizs AP200. Nice clean sound, but poor UI. I listen to most genres but probably listen to rock and classical/movie soundtrack the most. My primary headphones are ThinkSound ms02, Primo8, and HD6XX (don’t expect to use these on portable), and ThinkSound ON2. I cannot compare to the D sadly as I do not have on hand to say much about it. That being said it does come packed with a heck of a lot more features than the D and much more fluid and easier to use than the AP200. I don’t see any issues driving your list outside of the HD6XX. 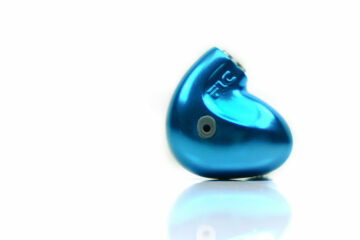 Its rated power is fairly small and more suited to IEMs and portable cans. Thanks. Also, thanks for the great review. You did mention testing the R3 with the Andromedas – does it turn the Andros into a warm, soppy mess, like most other sub 1-ohm output DAPs? I still find that the ZX2 pairs best, with the ZX300 and X5iii on high gain close seconds, all on SE. How would you compare it with X5iii soundwise? They seem to be comparable from what I read. Not tried that comparison before so will try it out in due course. How does it compare to the cayin n3 that I have? As it describes it, it would seem to share a similar sound signature. Big thanks Marcus for the review (reviews which I always very much enjoy btw). In terms of sound quality alone how would you rate the R3 against the iBasso DX50? It has been a very long time since I heard the DX50 so take this with a pinch of salt but I would certainly say the R3 is more resolving for a start. The WM8740 chip was a fav of mine but it won’t upsample or natively decode to the same extent as the R3. Thanks Markus. I am really looking for an upgrade rather than a sidegrade. Plus the R3 brings back memories of my beloved D2 with its form factor and the Mage 8 ball (akin to Jet Effect).